On the west side of Piazzetta San Marco is the building that Palladio thought was the most beautiful in the world since the temples of antiquity: Sansovino’s Biblioteca, begun in 1536 and finished by Vincenzo Scamozzi in 1591. 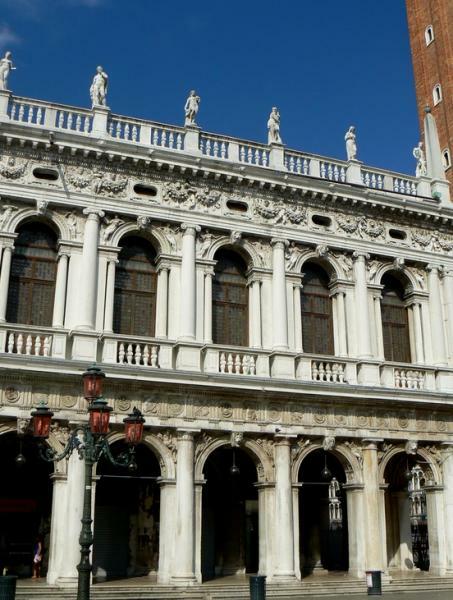 Made of white Istrian stone, the Biblioteca is the key High Renaissance building in Venice, notable not only because it recalls ancient Roman structures with its Doric and Ionian orders, frieze, and statues on the balustrade, but for the play of light and shadow in its arcades. Sansovino’s training as a sculptor didn’t always prepare him for some of the finer points of architecture, and in 1545 the vaulted ceiling in the main hall came crashing down (it has now been carefully reconstructed). The Council of Ten, never very tolerant of error, tossed poor Sansovino in the clink, and he was only released after Titian and his other pals pleaded for him. The Biblioteca’s Sala Grande, with its ceiling paintings (two, Plato and Aristotle are by Veronese) is filled with ornate manuscripts and globes. Fra Mauro’s magnificent Mappa Mundi of 1459 in the adjacent antechamber is hidden behind a curtain to protect it from the light; ask one of the custodians to open it. This anticamera was once the public statuary hall and is still filled with statues, among them some important pieces such as a 5th-century BC Persephone, called the ‘Abbondanza Grimani’, an Attilio and a Leda and the Swan. These are on either side of the door above the grand staircase, elaborately stuccoed by Vittoria, which you can view from above. Despite the grand treatment, the Biblioteca Nazionale Marciana didn’t have the most auspicious of starts. A far-sighted official in the 14th century made a deal with the great poet Petrarch in his old age, that the Republic would take care of him if he would leave Venice his manuscripts and library. He did, in 1362, and the books were placed in some attic until a place was found for them. 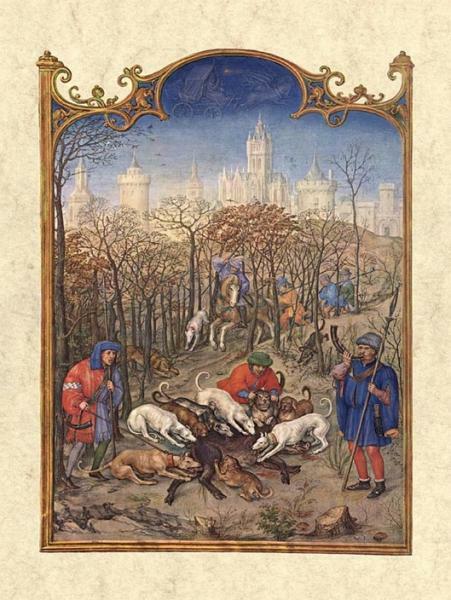 Another major library bequest in 1468, this time from Cardinal Bessarion (c. 1403–72), a native of Trebizond who did much to promote Greek scholarship and humanism in Italy and who was charmed by Venice's beauty during his visit, roused the Senate to found the Biblioteca Nazionale Marciana – but when it came to adding Petrarch’s books, no one remembered where they were until they were found in a back room in St Mark's in 1635, all rotted in the damp. Still, displayed in some small rooms off the main hall are treasures any library would be proud of, most beautifully the Grimani Breviary (1520), commissioned from the finest Flemish artists by the Cardinal Patriarch Domenico Grimani (although this is rarely exhibited), a 14th-century illuminated Dante, codices of Homer, and Marco Polo’s will.